Kering (previously PPR), which houses brands like Balenciaga, Alexander McQueen, Gucci, and Saint Laurent, among others, has strengthened its sustainability endeavor by appointing a group of technical advisors, according to WWD. Kering already has sustainability efforts in place: Just look to designers within the group like Stella McCartney, whose creations are leather, fur and cruelty-free. The newly appointed sustainability board includes some from within the family, like Patrizio Di Marco who is Gucci’s chief executive officer, managing director Jean-François Palus, board member Jochen Zeits, and chief sustainability officer Marie-Claire Daveau. There are three additional members sourced from outside the company: John Elkington, Holly Dublin, and Michael Wells. So who are the three brought on from outside Kering, and what will they bring to the environmentally friendly table? Wells is an independent environmental consultant, having worked with an impressive list of clients including the World Wildlife Fund, The Nature Conservancy, the United National Environmental Programme, and work in developing countries to reduce emissions from deforestation, among other accomplishments. Elkington started out his efforts at age 11 when he first raised money for the World Wildlife Fund; this, according to the Volans site, where he is also a founding partner and executive chairman. Volans “drives marked-based solutions” to the challenges of the future. In other words, Volans and Elkington are all about new ways of thinking to solve future problems. Good. Elkington is the thinker and strategist. Who’s next? Dublin joins Kering having spent the better part of three decades winning awards for her green efforts, working on community and local conservation effort, and serving as the Chair of the Species Survival Commission, according to the website of the International Green Awards. It sounds like Dr. Dublin is the implementer, the one who lays out the plans. 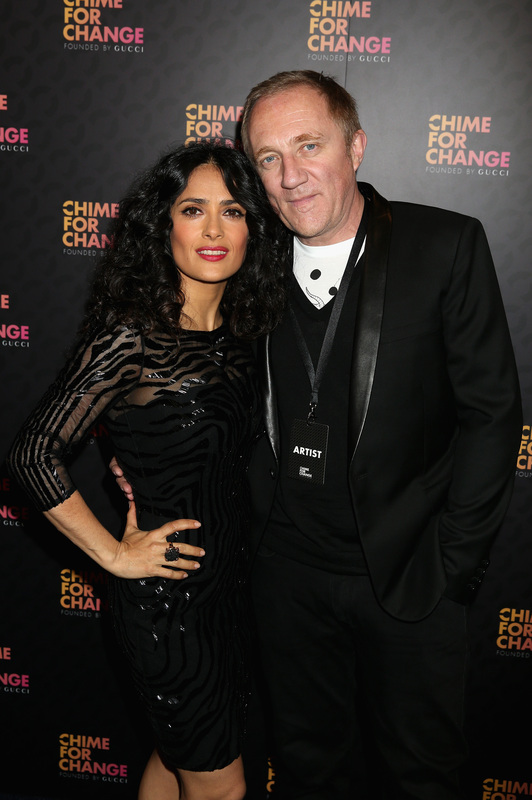 According to WWD, Kering’s chairman and ceo François-Henri Pinault (Mr. Salma Hayek, if you didn't know,) said the consultants will bring “valuable insight on emerging global trends and perspectives from the academic field of sustainability,” which he notes is at the “core” of his business. Here’s hoping more and more influential companies (with dollars to spend on programs like this) will continue to invest in green and sustainable efforts. This earth needs it.